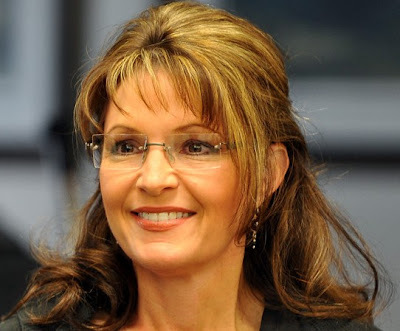 Sarah Palin, like all politicians, made many campaign promises when she ran for Governor in Alaska. Unlike many politicians, Sarah made good on all of hers. And while that is remarkable unto itself, no campaign promise made was more important to the Alaskan people than building a natural gas pipeline from the North Slope to the lower 48. So important, and so desired by the people, is the construction of this pipeline that promising to get it built was a staple on the Alaskan campaign trail for over 30 years! Our campaign would focus on cleaning house in government and facilitating the private-sector development of energy resources, specifically ramping up production of America’s energy supplies and building the 3,000 mile, $40 billion natural gas pipeline that other administrations had been promising to build for decades. It could ultimately go from the North Slope to hungry Midwest markets out of a Chicago hub. No more time wasted recycling the same old arguments and excuses as to why it couldn’t be done. I was determined that Alaska was going to start contributing more to the nation. If you notice, there is a very important element to Sarah’s plan for development: “facilitating the private-sector development of energy resources.” This is Sarah recognizing that in most cases government is not the solution to any given situation, it’s the problem. Politics had stood in the way of getting this pipeline built for over 30 years, so Sarah, using common sense, sought to have as minimal government involvement as possible, and maximum private-sector participation. A refreshing change of pace, and a model for all governments to follow. 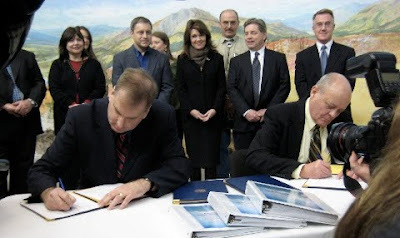 Ethics reform was already underway, with some lawmakers already under arrest, so to kick off the Palin-Parnell agenda, we started with the natural gas pipeline on our first day in office. For Alaskans, the term “gasline” is as familiar as “irrigation” is to Californians or “Wall Street” is to New Yorkers. Except that Californians and New Yorkers already reap the benefits of these economic lifelines, while Alaskans have been waiting for more than fifty years to realize the benefits of the state’s vast reserves of natural gas. At least 35 trillion cubic feet of proven natural gas reserves lie untapped on the North Slope, and geologists say there are hundreds of trillions more both on- and offshore. Our oil and gas supplies would be enough to provide 10 years of total energy independence for the entire country. It was unfortunate that our government’s well-meaning polices had driven producers to other parts of the world where there were no restraint’s on their activities. That was no way to protect the environment or heat the economy. With my background, I understood the concerns of all of the parties: as a free-market capitalist I understood the bottom line for the oil producers; as the spouse of an oil worker I understood the Slopers and their families’ reliance on oil jobs; as a mayor I understood the communities’ dependence on oil’s economic contributions; as a lover of the land I understood as well the environmentalists’ and Alaska Natives’ concerns. Sarah goes into further details of her thought process in the book, including how CEO look to maximize profit for their shareholders, and how as CEO of Alaska, it was her job to maximize the benefits to the Alaskan people. I’ve found, over the last few years that many people don’t understand the unique relationship the people of Alaska, as well as the state government, all have with the oil companies. In Alaska, the Constitution dictates that the oil, natural gas, and other energy resources belong to the people, the citizens of the state. So, just like anyone who buys shares in a publicly traded company, the Alaskan people are shareholders in the Alaskan energy business. As Governor, Sarah took many steps to maximize the values of those shares to the Alaskan people, just as any good CEO would do. Much has been written about the processes of how the natural gas pipeline project came to be, but the bottom line is this: By creating a market driven process, with great emphasis on the private-sector, Sarah was able to move this pipeline project from 50 years worth of talk, to reality, in just a few short years. I suggest those who are looking for more detailed information on the process read Sarah’s book, and check out the archives at US4Palin, where editor and publisher Ron Devito has carefully documented the entire process. OK, now that we have some of the background out of the way, let’s get to the latest updates on the process that will see the completion of the gasline by 2020. CALGARY/ANCHORAGE (Reuters) – TransCanada Corp and partner Exxon Mobil Corp boosted their cost estimates for a planned line to carry Alaska gas to southern markets by up to 58 percent on Friday, as the two ready plans to sign up shippers for the massive project. The companies said the cost of the 1,700 mile pipeline carrying at least 4.5 billion cubic feet of gas daily from Alaska’s North Slope to Alberta will range between $32 billion and $41 billion, up from a previous $26 billion forecast. The line, mulled for more than a generation, would be among the largest and most expensive civil engineering projects ever undertaken in North America, requiring years of planning and construction and massive financing. “No matter how you measure it, the Alaska Pipeline Project would be an exceptional world leading project and one of the largest private investments in the history of North America,” Paul Pike, Exxon Mobil’s senior project manager for the line, said on a conference call. For Alaska, which depends on oil for nearly all its state operating revenues, a natural gas pipeline is seen as economically crucial. North Slope oil production has dwindled to a third of the 2 million-barrel-a-day peak reached in 1988, and continues to decline. Some political leaders hailed Friday’s announcement as a big step toward reaching the gas pipeline goal. A smaller line, running from the gas fields of the North Slope to a separately built liquefied natural gas facility near Valdez, Alaska, would cost between $20 billion and $26 billion and could be built instead of the larger project if shippers chose the option. The backers said their cost estimate rose over initial projections because of an extension of the line to the Point Thomson field on Alaska’s North Slope, an expanded gas-processing plant and more detailed engineering than first available. The new estimate for the lines, which could be in service by 2020, came as the partners filed plans with the U.S. Federal Energy Regulatory Commission (FERC) to hold an open season to attract potential shippers. “This open season will test potential customers’ interest in utilizing the Alaska Pipeline Project to transport their natural gas to market,” said Tony Palmer, TransCanada’s vice-president of Alaska development. 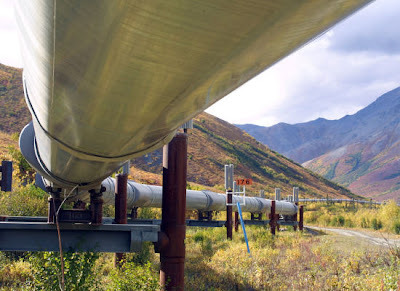 Calgary-based TransCanada is the state of Alaska’s preferred pipeline sponsor and holder of a state license under the Alaska Gasoline Inducement Act (AGIA). It added U.S. energy major Exxon Mobil, one of the three major North Slope natural gas producers, as a partner to its proposal last year. The other two producers, BP Plc and ConocoPhillips are backing a rival pipeline plan of their own and Exxon itself has yet to commit its gas to the line. However the two partners expect that they’ve squeezed the cost for shippers down, making their proposal attractive. They plan to a 20 percent capital risk in the project, reducing the costs needed to be covered by customers by between $6 billion and $8 billion. As well, they’ve cut their planned return on equity to 12 percent instead of the 14 percent return TransCanada had forecast in its AGIA filing. Including those cuts and other smaller factors, the partners expect shippers who commit during the open season will pay $500 million less per year on tolls than forecast in the AGIA application. Still, the rival Denali project, backed by BP and Conoco, is going ahead as planned, with its own open season scheduled to launch in April. TransCanada has offered BP and Conoco an equity stake in its project, saying the support of all three producers, as well as the state, is needed before its project proceeds. However negotiations with the rival producers have yet to take place . TransCanada and Exxon filed plans for the open season with FERC, which has 90 days to approve the proposal. A separate open season will be staged for the Canadian portion of the line. This marks the first time Alaska has seen a major producer come together with a pipeline company to solicit binding commitments for the transport and delivery of North Slope natural gas to markets in the Lower 48. The bottom line is this. While there is still some work to be done, Sarah Palin, as well as her capable administration, and the folks at TransCanada and Exxon-Mobil prove the point that private-sector, free market solutions to major issues just make sense. The fact that this is a viable project, and a solid approach, is underscored by the existence of a competing project in the mix. In the end, everyone will benefit from this competition. Once again Sarah Palin proves to be a visionary leader who uses common sense solutions to complex issues. Energy independence is both an economic and a national security issue. With the economy in a slump, and wages stagnant, a good reliable supply of cheap, clean, and green natural gas is essential. Using our own resources, rather than enriching nations, and leaders who may not like us very much, is vital. This is something Sarah Palin has been talking about for years, and unlike most, has used her leadership qualities and negotiation skills to actually make something happen. This is what true leadership is all about. This entry was posted on January 30, 2010 at 3:46 PM	and is filed under Uncategorized. Tagged: AGIA, clean energy, exxon-mobil, natural gas, north slope, Sarah Palin, Sean Parnell, transcanada. You can follow any responses to this entry through the RSS 2.0 feed. You can leave a response, or trackback from your own site. Simply great overview and analysis of this exciting & important gasline project that will reinforce Palin’s stature and natural leadership. I hope to live to see the day of its completion and the beginning of a new era in US energy independence!